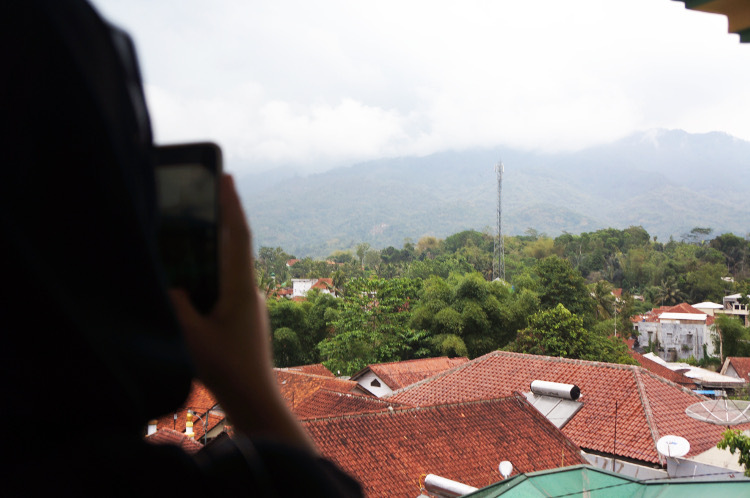 Second leg of our trip was to the city of Bandung! I was really very excited to be back in Bandung. But before heading to Bandung, we made a stop at Garut. Garut is a town appx 75km to the southwest of Bandung. 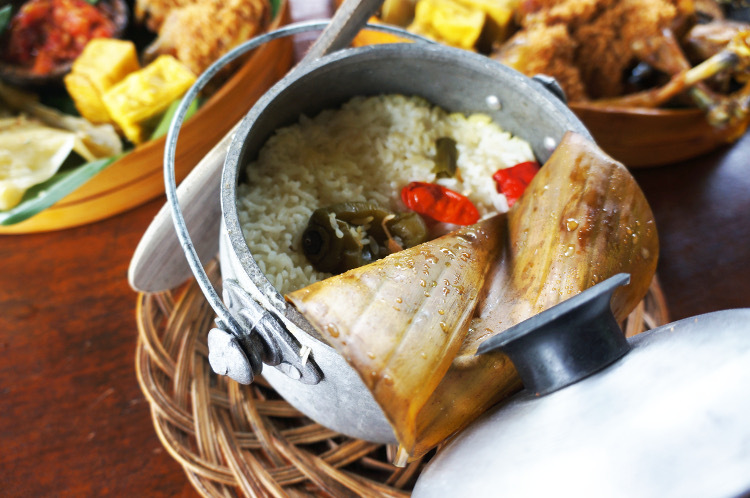 Lunch was at Nasi Liwet Pak Asep Stroberi. It is a restaurant facing beautiful mountainous areas and terraces. The view was magnificent. I couldn't help but be very amazed at His creations. Food was insane. I had several servings of the rice. Every single dish on the basket was gone by the time we were done. I am no food blogger so I may not have the right words to describe them but trust me when I say it's bomb diggity. 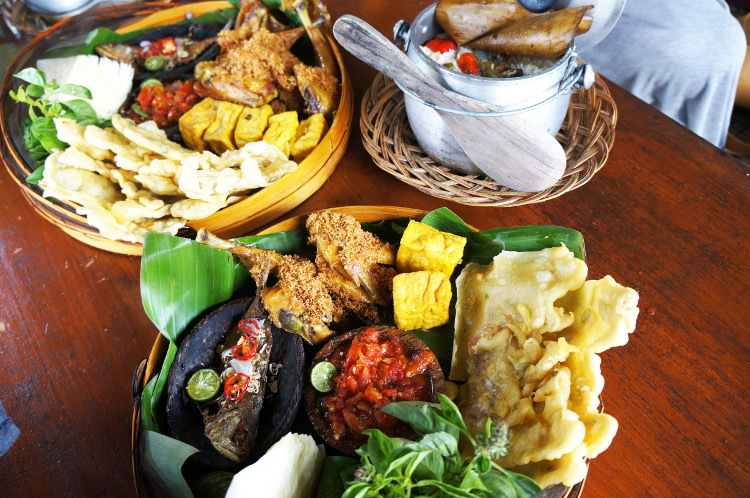 If you are ever in Garut, make a stop at this restaurant. Highly recommended! After lunch, we were back on the road. It was a long and arduous journey to the Pesantren. Pesantren is an islamic boarding school in Indonesia. We had a bit of time to spare before dinner so we went to Situ Lengkong Panjalu. 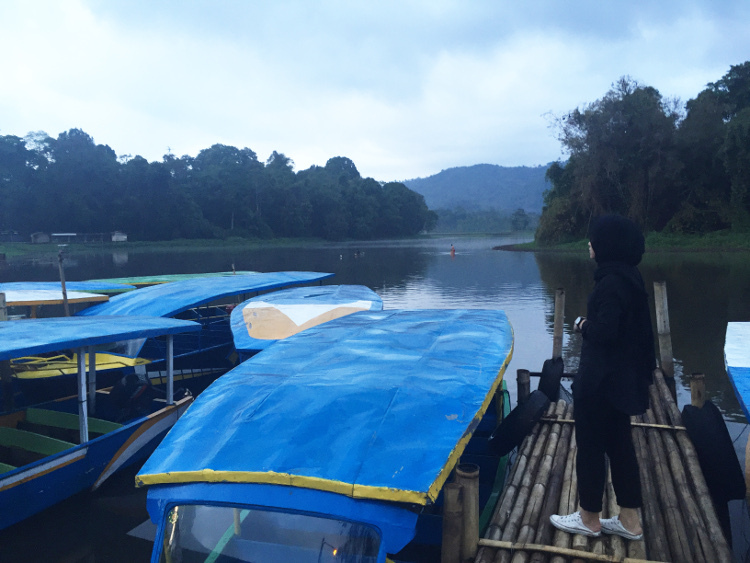 It is a lake located in District Panjalu, Ciamis, West Java. Situ Lengkong is designated as a nature reserve. It looks beautiful at dusk but if only we were there earlier! By the end of the day, I was pooped. We spent the entire day traveling on the bumpy road. It was so bad that I had motion sickness (I usually don't!). I told everyone that with a journey like that, I can handle the worst of turbulence from now on (not quite. hehh). I was so uncomfortable throughout the journey. We spent close to ten hours on the winding and bumpy road. I didn't even feel like going down for dinner so I sat in the van. Imagine my excitement when I was told that our accommodation's a few minutes away. Upon arrival, I was floored. Our resort's majestic. 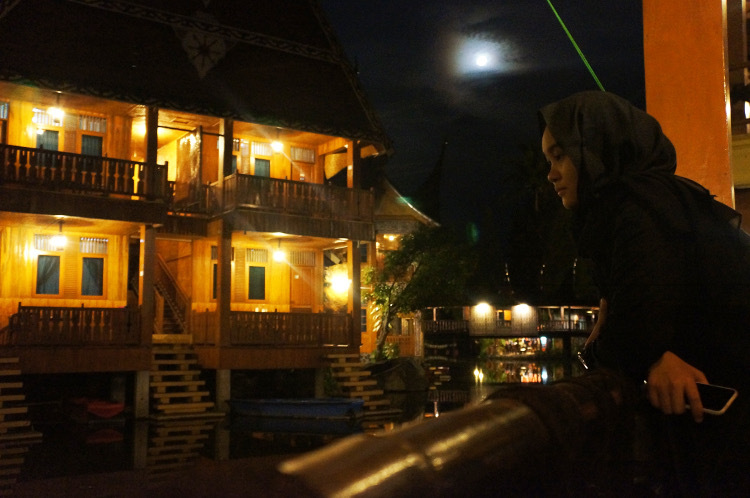 We stayed at Danau Dariza Resort and Hotel. The rooms are above water and guests can kayak or boat their way in the premise. The resort also has ziplines and high elements. It was such a pity that we arrived really late at night. By then, all we wanted to do was rest. Stay tuned for our next adventure in the city of Bandung!